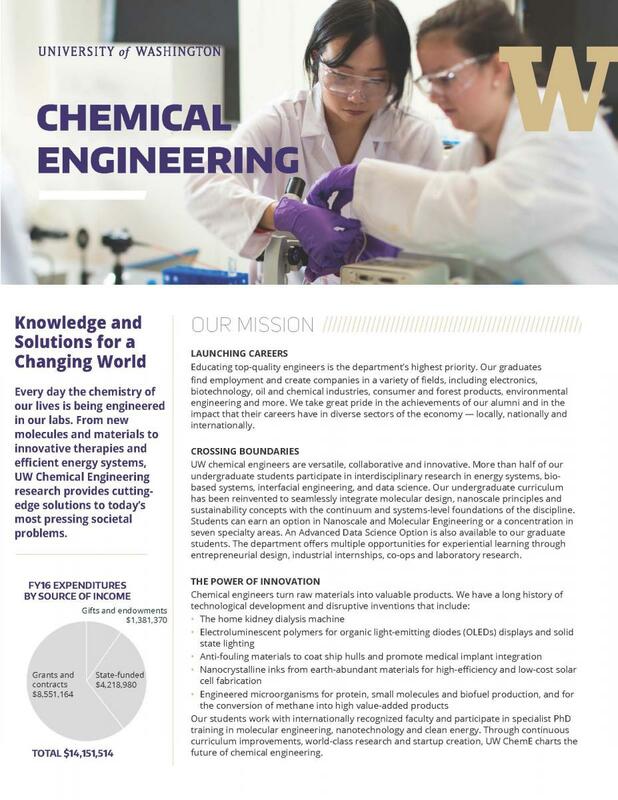 The UW Department of Chemical Engineering has 26 core faculty members. Several additional faculty members in other programs, such as bioengineering and mechanical engineering, have joint appointments in ChemE. The department is large enough to offer a wide range of research topics, yet small enough for faculty and students to know each other.